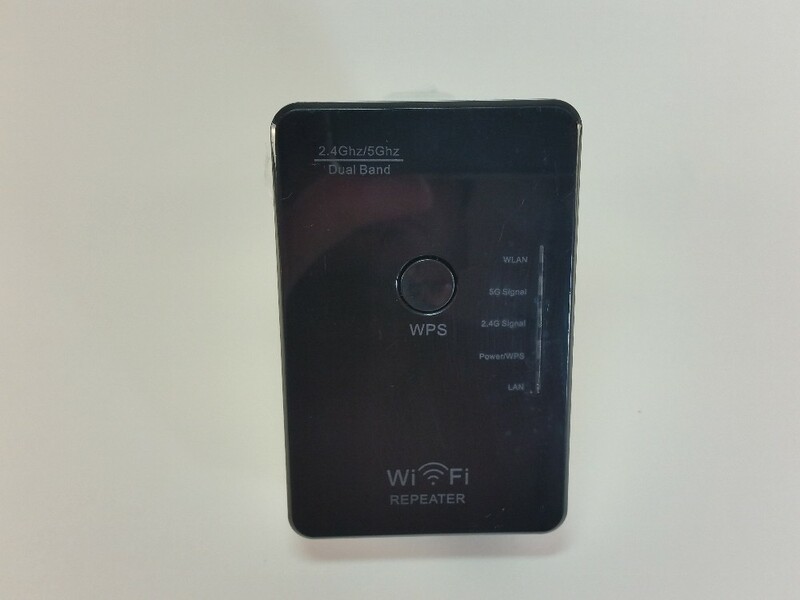 This WiFi repeater below It is able to increase the range of your network, using for this purpose a system with two frequency bands WiFi. The schema is the following: although there are several frequency bands used by WiFi, the most commonly used is the range of 2.4GHz. As everyone uses this track, interference is too great. Bluetooth and cordless phones also invade the spectrum causing disconnections, noise and slowing. Using the 5.8GHz network is the solution to escape the problem by keeping the network running at peak throughput. 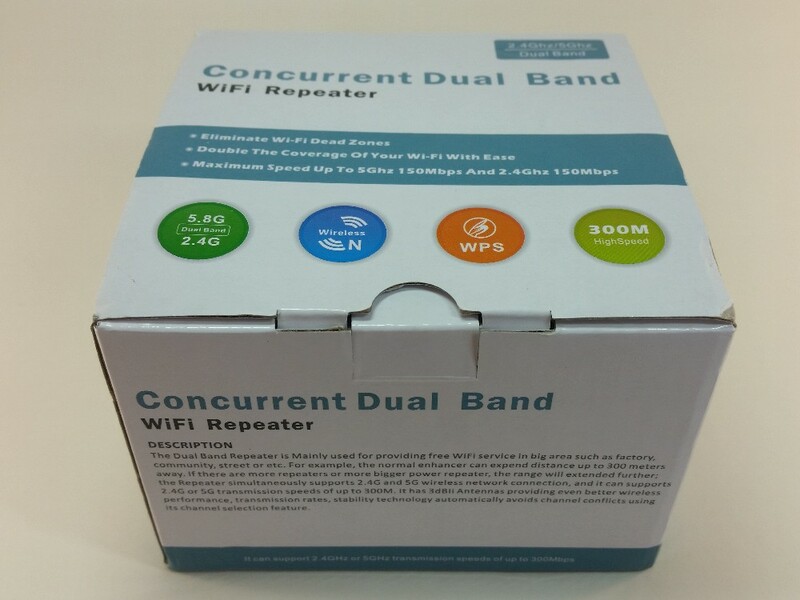 For this you can use this repeater not only because it extends the range of your network at 2.4GHz as well as the network repeats the pattern of 5.8GHz. All this for only 20 U.S. dollars! 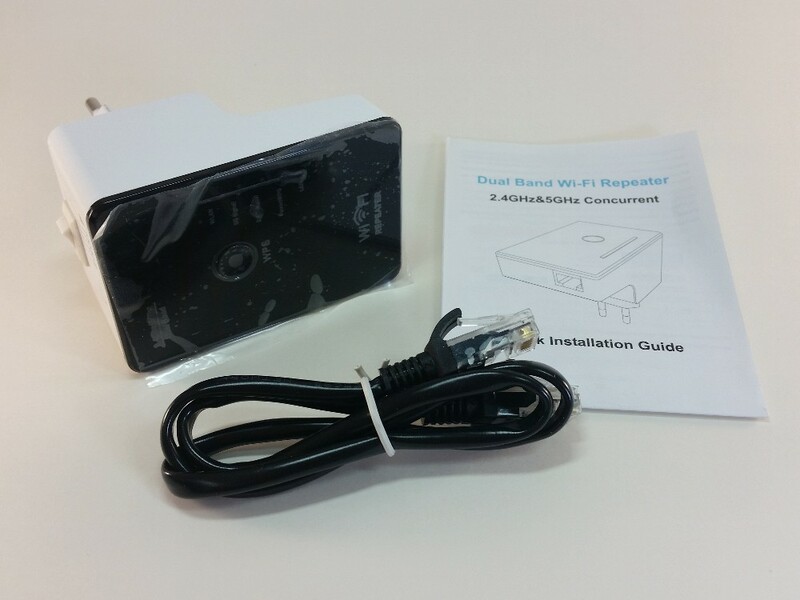 Inside the box we have the repeater, an Ethernet cable and a manual. 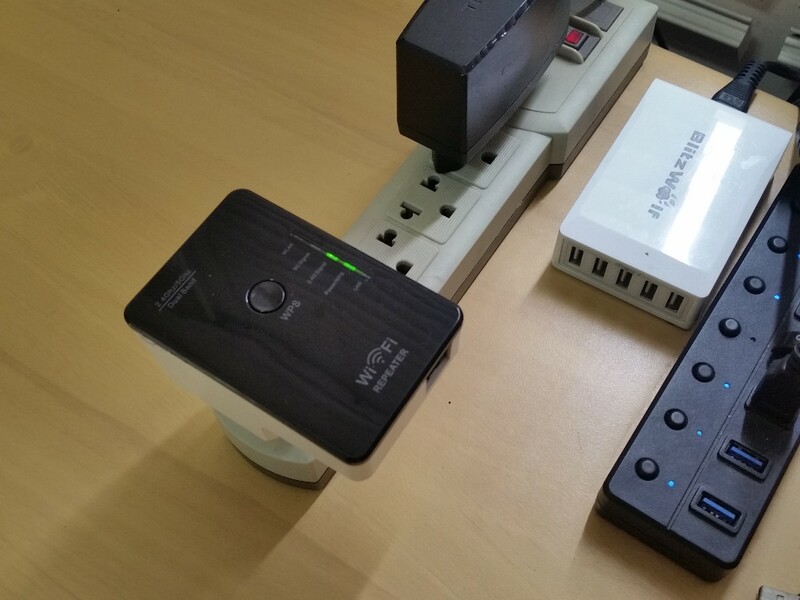 There's the repeater, which has LEDs to indicate WPS / power, 2.4 e 5.8GHz, LAN e WLAN. On one side of the repeater there is a button to turn on and off, and you can choose from a key if you want to use as a repeater, such as AP or client. There's the repeater on my decision! 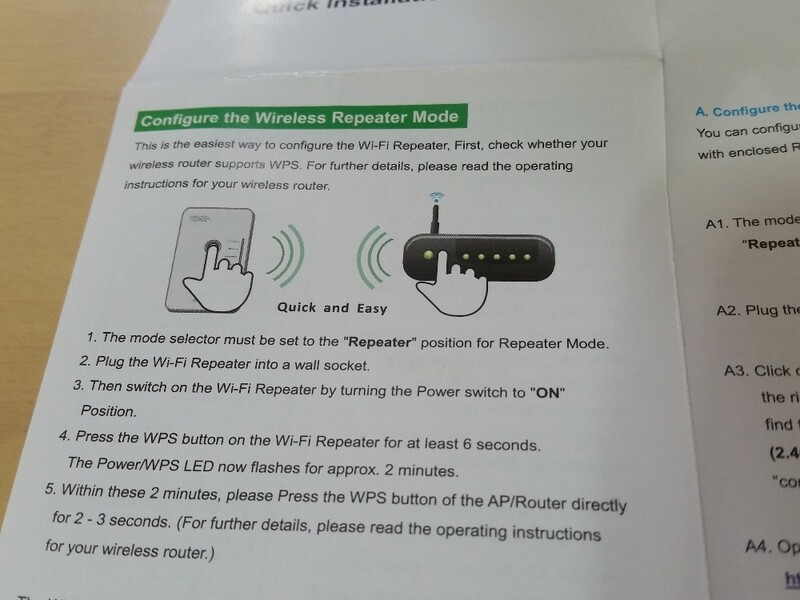 To operate simply press the WPS button on your WiFi router and repeater. This is enough! 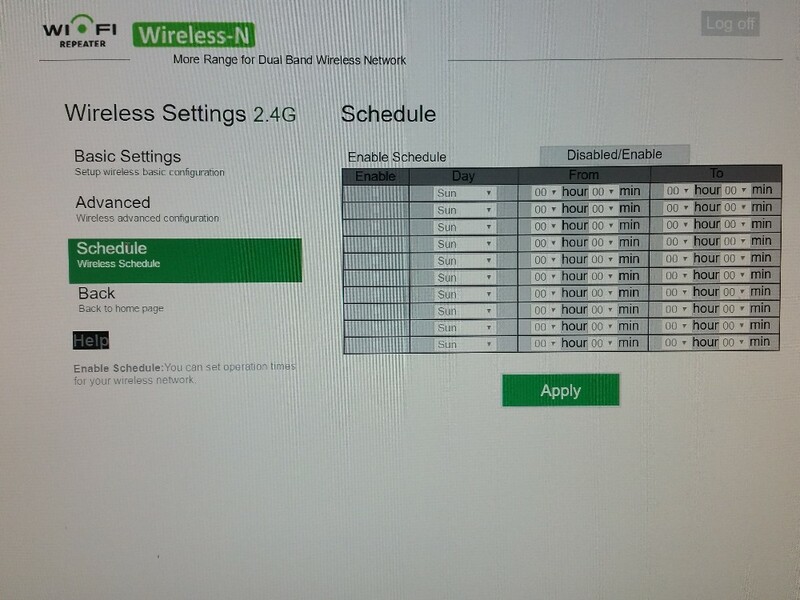 The network begins to have expanded the scope in both 2.4GHz and 5.8GHz in. 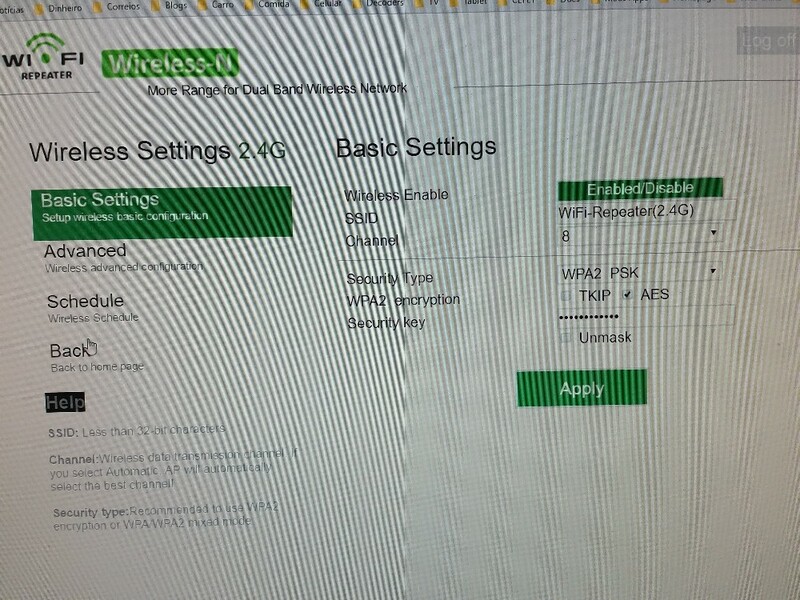 But if you log in you can see the repeater settings. 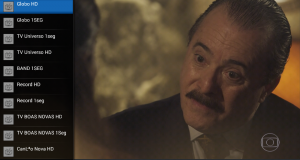 Suffice it to go on a device connected to the WiFi network and enter the address in the browser “http://w.ap”. Note that the device is working in repeater mode! 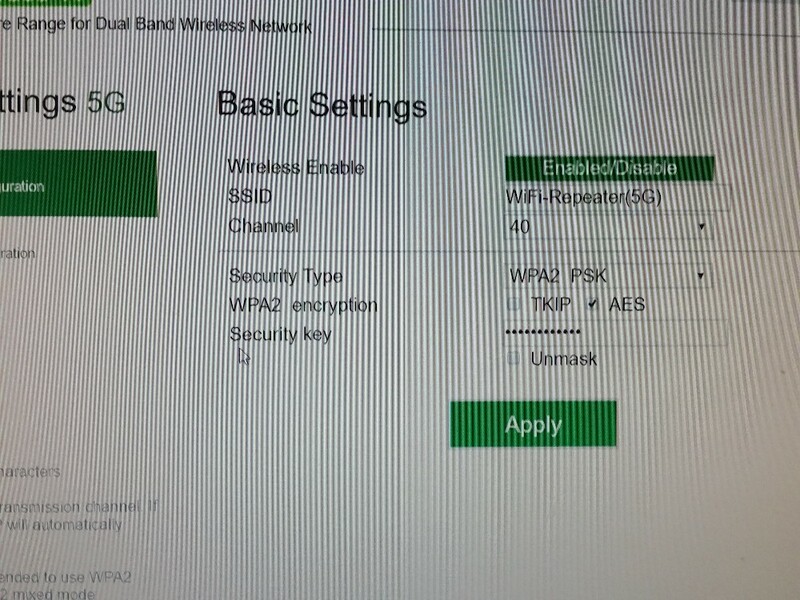 It can also work in AP mode, which receives the signal from the Ethernet cable and create an Access Point (at 2.4GHz and 5.8GHz), or client mode in which it receives a WiFi network and starts to connect an Ethernet wired device. 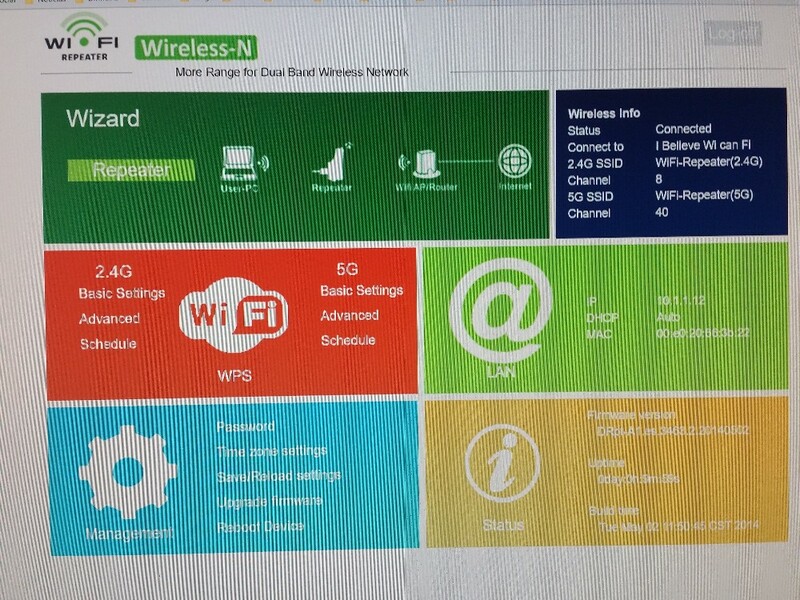 The WiFi configuration lets you see the name of your repeated network, which by default is WiFi-Repeater(2.4GHz). 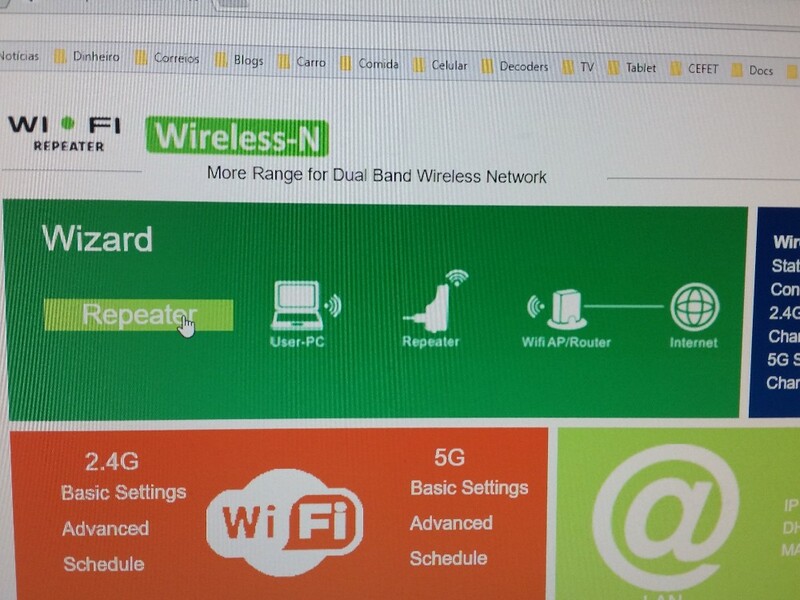 In the 5.8GHz network is WiFi-Repeater name(5G). 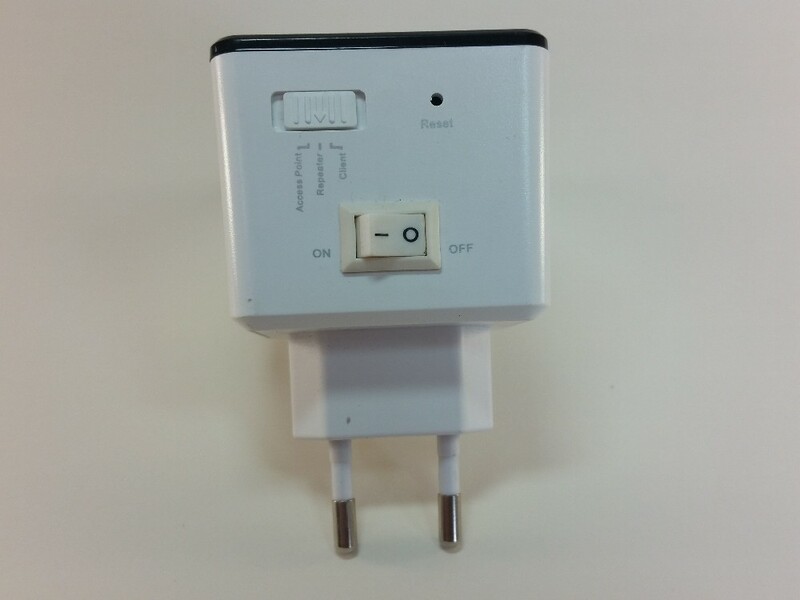 So we know when some cell, or tablet PC is on the network of high speed and low interference. 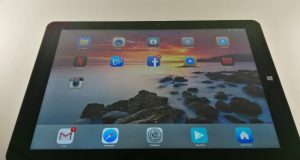 Some older devices do not support this new network. Some extra features are also possible as the Schedule system, deliga and connects to the WiFi at specific times! 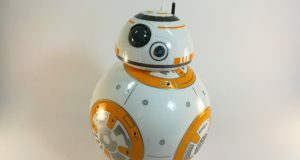 Watch the video I recorded showing how to configure! I bought this equipment by appointment of the site, most had no luck with the product. In the first 30 Day worked very well in my house, even in rooms that before the wifi would not start and went on to fly. Out of nowhere the equipment stopped working, unfortunately the customer service of gearbest and very bad, even opening RMA Photo, video and all they ask not kept in touch, do not respond to my messages. You can use it with the same SSID / password of the main network? either as a repeater mode or mode as AP. Yes. This is possible, but I prefer to leave a network with a different SSID so I can know where I am connected. Yes, I was using the same SSID on the home network to two routers, but strangely some conectavam devices on the far router and worst sign. That happens. Not always a good sign means a fast network and internet. If the device can not find internet at any given time in an SSID, the other can respond. I prefer different SSID to make sure I know where it is connected. Type “WIFI ROOM” and “WIFI FOURTH”.